Yeah got fuel got spark.. It was first thing we had tested. It tries to fire you can hear it ignite but just wont give it arse that final push over so to speak..
Might have been easier getting it running on stock injectors maf and ecu to start with as you said its a lot of change and who knows what is going on lol. Although Spike may be able to help im sure! If you do get it running would be worth at the least getting afr's checked asap as you wont know what its running like and may be different to how it was originally mapped. I though I also though I may have got the maf wiring wrong from the diagram that was provided as the colours vary slightly, im pretty sure its right... Anyway go easy on me as these wires are only temp like this until I get it running and back home where I can take more time and get the wiring tidy. I know your pain Shroom I had all this pipe work pictured up as I knew it was going to be a mare and lost them all on my phone as it died last Thursday! Next options come down to taking the maf sensor and ECU to the auto electrician to make sure they are both working as they should be and I havnt blown something from the chance of wiring the maf wrong. 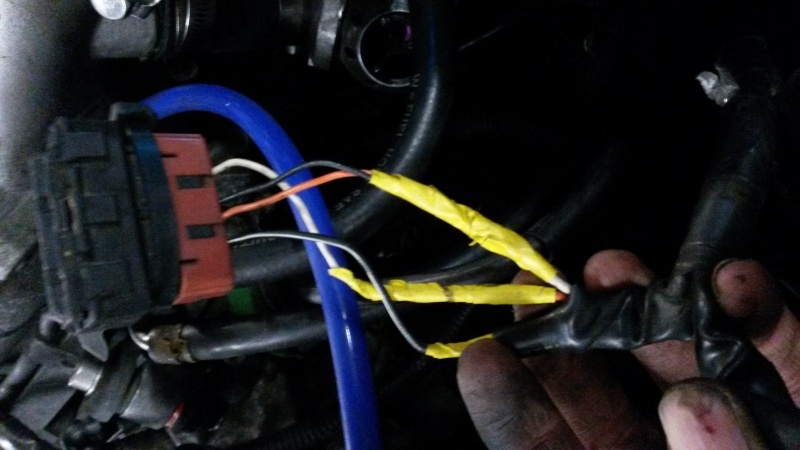 If somebody can confirm that the MAF wiring pictured above is correct then I think the iridium spark plugs are the issue as it is trying to start but seems to be flooding quickly so may be worth getting bcr8es plugs, dry the bores out fit new plugs and see if starts then. checked this and wring is good, well its right maybe not good lol although I have seen some people wire the earth one to chassis and one to the Loom negative... Apparently it makes a difference. Spike is right, it certainly floods very easy.. As in by the time its turned over a few times if its missed a start attempt its pretty much flooded. Does anyone know if you read the Apexi Power FC's codes the same way as you would read the standard ECU.. Paper clip trick?? Its orange, 12v live I believe..
A: Get car home so I can work at nights easier. if the car starts at all during that process then it should help eliminate and narrow down the cause. Just to be clear I have removed nothing off the engine previously, the engine ran in the car and we took it out that day, the fuel pump in my car also came from the original engine doner, so did the ECU. 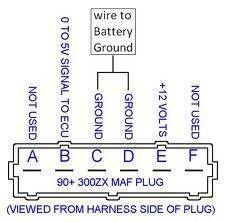 oh the wiring for the z32 after several checks was correct. Yeah Johnny said this evening, im bloody stumped.. Its funny but so dam irritating and if it is my ECU im going to cry, Im going to try get the car home in the next day or 2 and replace the above bits. Im just sat reading through a thread I found... Now although its related to the s15 its showing same symptoms as myself so far..
Yep that's the plan Shroom, stock injectors stock maf (Need to get the standard maf plug to the loom as magically managed to loose mine) stock ECU. did you get the hand controller with the ecu? on a different note.... the power fc doesn't read boost pressure without the extra boost controller set up required along side it, unless I have miss read it.. but either way a bloody useful link! robd wrote: did you get the hand controller with the ecu? Sorry Robd, didn't see this I was busy reading... Nah I didn't unfortunately I asked but it wasn't with it. Seems odd that so many have no handsets when they are a vital part of it!! Turns out though that if you read the bumph, apexi FC doesn't support the standard boost signals so you have to make a change in the ECU (If you have the handset), or you have to add the manual boost controller and hook it up to the 3 pin port on the side. Im not saying this is conclusively my issue but its certainly not going to help my cause. It seems that way according to the attachment, fingers crossed it will sort it out. I'll keep the post updated when it arrives, it might also be a useful for that FAQ link i found to be put into the useful links section? Some great reading on most of the apex ECU range for anyone else who may need to brush up.